Stark, Reagan & Finnerty, P.C. was founded in 1973 by four attorneys from an established Detroit law practice. From our firm's inception, our practice has been focused on representing business clients in a wide variety of matters. Initially, our firm's practice was local, primarily representing small and medium-sized businesses. However, as the nature of business was changed, so has the nature of our firm's clients base and the extent of their legal needs. Stark, Reagan & Finnerty, P.C. was founded in 1973 by four attorneys from an established Detroit law practice. From our firm's inception, our practice has been focused on representing business clients in a wide variety of matters. Initially, our firm's practice was local, primarily representing small and medium-sized businesses. However, as the nature of business was changed, so has the nature of our firm's clients base and the extent of their legal needs. Today, Stark, Reagan and Finnerty, P.C. represents both domestic and international clients. Although our firm's offices are based in Michigan and Florida, our clients conduct business throughout the United States. We have also represented our clients in their business ventures in Europe, the Far East, Mexico, the Middle East and South America. Stark, Reagan & Finnerty, P.C. currently has 13 attorneys who specialize in the business and commercial law. At Stark, Reagan & Finnerty, P.C. we feel our size helps to ensure that your matter receives the individual, personalized attention it deserves. The attorney who handles your case will be highly accessible and a seasoned practitioner with extensive, direct experience in handling the legal issues involved in your case or transaction. Moreover, the stability of our practice greatly enhances the quality of our service. The Stark, Reagan & Finnerty, P.C. attorney who is handling your matter today will be the one handling it tomorrow. 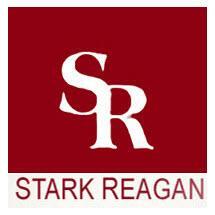 With varied backgrounds and experiences, the team of Stark, Reagan & Finnerty, P.C. brings a powerful and diverse character to all issues it faces. We research, analyze and help solve client problems by considering the whole picture. By recognizing the potential impact and importance of the interrelationship between legal and business matters, we can focus on the long-term success of our clients. Soil and Material Engineers, Inc.